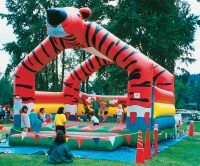 Manitoba’s Largest Interactive and Inflatable Games Company Since 1997. 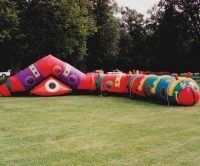 PartyWorks will help you do both… by transforming your next wind-up into the extraordinary event that it deserves to be. 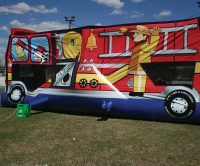 Our innovative new inflatable games are sure to take your party to new heights, so hop on and enjoy the ride! 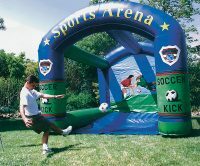 PartyWorks can make your School picnic, Team Wind-up and Corporate Events a fabulous and exciting time. 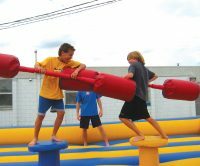 From Gladiator Joust and Big Time Boxing to our Giant Inflatable Slide and Theme Bouncers, our equipment is guaranteed to provide maximum in fun and entertainment for everyone. With a network of associates throughout North America we offer the most comprehensive inventory anywhere, having access to the newest and most popular attractions on the market. Best of all, we offer a complete package. 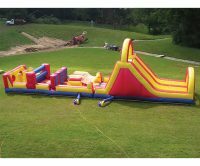 We deliver, set-up, staff and tear-down all our events to make your job easy! 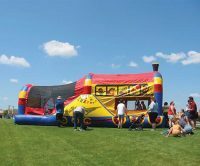 When you are looking for the first-rate Interactive Entertainment for your next event, PartyWorks Interactive Games offers you a sound option: A direct, fully insured, local vendor with an experienced staff. 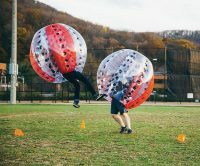 PartyWorks Interactive Games ensures that your event will be staffed with enthusiastic, professional, entertainment oriented individuals who have been trained to bring you a high energy event while maintaining a safe and positive atmosphere for both participants and spectators alike. 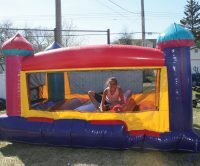 To make your event a memorable one, give us a call at 204-487-4FUN(4386)… we’ll bring the fun to you!